Finally, some good news for the euro? After weeks of turmoil and uncertainty, European leaders reached a deal with Greek debtholders this morning that will see private investors take a 50 per cent cut in the face value of their bonds, a deep haircut that officials believe will reduce Greek debt levels to 120 per cent of GDP by 2020. Also agreed upon was the increasing of the EFSF bailout fund from €440bn to over €1000bn. This decisive action, combined with an earlier agreement to recapitalise vulnerable banks, means that the highly anticipated summit has delivered on the package it promised, and European leaders will hope it now precipitates an alleviation of the of the debt crisis, and stabilisation of the euro currency and financial markets. Although some of the detail remains to be clarified, including the role of China in possibly contributing to the EFSF and the specifics of further help for Italy, it appears that European leaders are certainly more optimistic than a week ago. 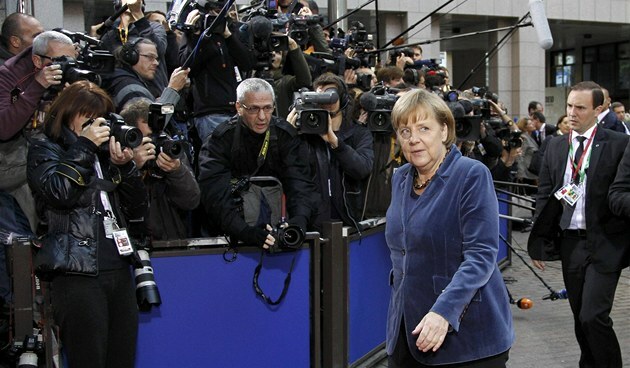 Muddling through this crisis may not be a particularly attractive proposition for markets and investors, but Europe’s political leaders will grasp at any chance of respite from the relentless barrage of criticism they have faced during the crisis.